What a week it's been for Jack Stanley!!! 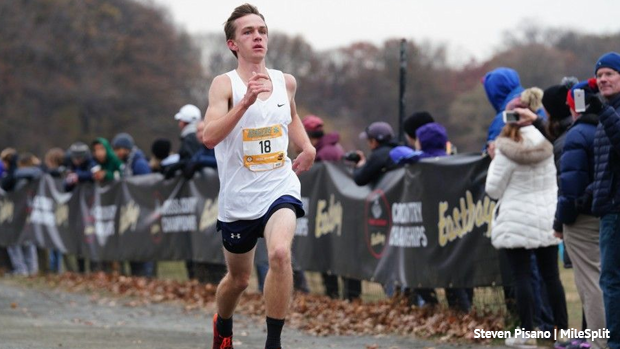 First, the senior from Mendham continued his magical cross-country season by pulling off an upset victory at Saturday's Foot Locker Northeast Regional at Van Cortlandt Park to punch his ticket to San Diego for the Foot Locker National Championships, which are being held on December 8th. Then on Sunday, on the strength of his impressive performance at FL NE race, Stanley was invited to compete in this Saturday's 15th annual Nike Cross Nationals at the Glendoveer Golf Course in Portland, Oregon. He accepted. Stanley also announced his college commitment on Tuesday night, telling NJ MileSplit that he will be attending Princeton University. "It's been a very exciting week,'' said Stanley. This is the first year that Nike has extended at-large invitations to runners who didn't qualify for its national meets through its regional qualifying process. Nike extended 10 at-large berths (five boys and five girls). 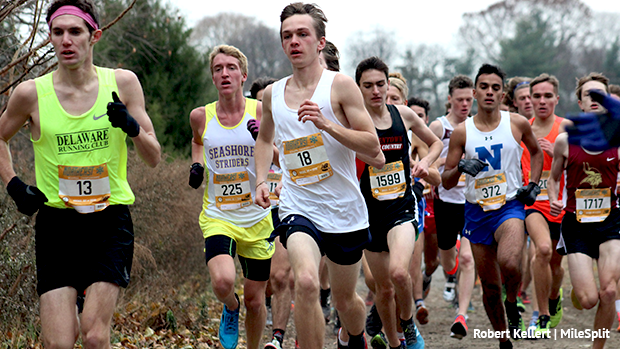 The Foot Locker and Nike Northeast Regional Championships were both held this past Saturday, so runners couldn't run both. Stanley said traveling across the country two straight weeks for the first time in his life and the possibility of having tired legs when he races at the Foot Locker National Championships were things he thought about before accepting the invitation to race in Oregon. But in the end he said it was something that he felt was just too good to pass up. Stanley has certainly experienced a wide range of emotions over the last couple weeks. At the NJ Meet of Champions on Nov. 17, Stanley narrowly missed upsetting heavily favored Devin Hart of Point Pleasant Boro when both runners came across the line together in 15:36. Hart was declared the winner by just .14. Then a week later, Stanley turned that frustration into jubilation and avenged the loss to Hart with his stunning victory in 15:30.2 at the FL Northeast Regional at Van Cortlandt Park in the Bronx. Not only did Stanley finish ahead of Hart (fifth in 15:38.4) at the Regional, but he also took down the top returner from last year's race, Lucas Aramburu of Brookline High in Massachusetts. Aramburu was second in 15:37. Stanley is New Jersey's first FL NE regional boys winner since the great Edward Cheserek of St. Benedict's Prep won two in a row in 2011 and 2012. Stanley's back-to-back national championship races will cap off a sensational season, which also included a course record at Greystone when he won the Morris County Championships in 15:09.3, a victory at the N.J. Sec. 2 Group 3 meet, and a second straight state Group 3 title in 15:45. "'Coming into this season I just wanted to PR even if it was by a few seconds, and maybe be in the top three at the Meet of Champions,'' said Stanley. "I never thought I'd be anywhere near Devin and have this kind of season,'' said Stanley. As for his college commitment, Stanley said Princeton is in the family blood and has always been the school he's wanted to attend. Stanley will be joining a Princeton program that is coming off a great cross-country campaign. The Tigers repeated as Ivy League champions, won the Mid-Atlantic Regional title, and placed 22nd at the NCAA Championships. At Princeton, Stanley will be coached by head coach Jason Vigilante and Olympian and N.J. legend Robby Andrews, a volunteer assistant. Vigilante, a native of Morristown, N.J., was named the Ivy league and Mid-Atlantic Regional XC Coach of the Year. Vigilante has also coached multiple Olympians, including Andrews. Andrews, who starred at Manalapan High in NJ, competed in the 1500 at the 2016 Olympics in Rio, and he won the 1,500 at the 2017 U.S. Outdoor National Championships.